The Schoolof Law at the Magee Campus of theUniversity of Ulster is offering two short ‘taster’ courses in Law next monthas part of a new outreach programme to the local community. The courses are being offered as part of the University’s commitment to Access and Distributed Leaning (ADL) which aims to provide and promote a range of educational opportunities. “The intention of these taster sessions is to demystify the legal context of business,” said Dr. Eugene Mc Namee, head of the School ofLaw. 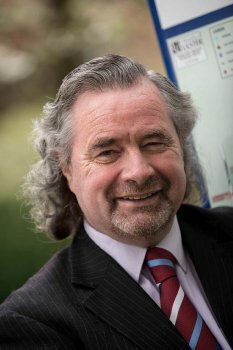 ‘Business Law for non-lawyers’ and ‘Legal Structures in Business’ will be delivered on the Magee campusby law lecturer and barrister at law, John Thompson who saidboth courses are designed with the layman in mind. ‘Business Law for non-Lawyers’ will cover the basic distinctions between Criminal and Civil law, as well as provide more in depth treatment of Contract and Tort (claims) law. It will focus on case studies, and allow participants to reflect on and engage through their own experience. 'Legal Structures in Business' aims to give participants an overview of the most common legal structures in business to help them decide what is most appropriate for their business and to provide a basic knowledge of company law to help their business operate more effectively. Both tastercourses will be suitable for sole traders/practitioners, partnerships, directors and staff of SMEs, self-employed or business advisors. “The courseswill feed into two ‘stand-alone’ accredited modules which form part of postgraduate programmes to be offered at Magee for the first time from next autumn. They will each be delivered as a three day block module,” explained Mr Thompson. ‘Legal Structures in Business’ is linked to the UK Corporate Law module of the LLM in Commercial Law. This is a completely new programme for the University of Ulster and will be available only at the Magee campus from autumn 2013. ‘Business Law for non-lawyers’ is linked to the Applied Business Law module of the MSc Management and Corporate Governance. This module was previously only available at our Jordanstown campus.